Speyside Wildlife's small team really is the secret of our success. Enthusiasm, expertise and a sense of fun - they’ve got it! We know, and you tell us over and over again, that Speyside Wildlife's guides and behind the scenes logistics just can't be beaten. We've known Roy for over 20 years. He's a great all-round naturalist and years of experience in the world of teaching have made him a great people person. Our guests travel with him again and again to far-flung places like Costa Rica, Hungary, Sichuan and British Columbia. His sense of fun and knowledge of birds, plants and animals make him a very popular leader. Simon is one of Speyside's keenest birdwatchers. He knows as much as anyone about the wildlife of the Scottish Highlands and has a real interest in scarce birds, mammals and identification challenges - with him as your guide you'll learn a huge amount about Speyside. That doesn't stop him taking guests further afield for us however, to places such as New York City and Nova Scotia. Craig loves Speyside and the Scottish Islands and has led tours in Scotland for over 20 years, taking our guests regularly to Mull, Shetland and the Outer Hebrides. He has a great combination of field naturalist skills, outgoing personality and incredibly sharp eyes; along with an astonishing knowledge of birds, mammals and insects. Darren is a great birder and quite simply fun to be with. He has led countless groups for us in Texas, California, Sri Lanka and Namibia. This year he will be taking guests to Arizona, Yellowstone, Nova Scotia and New Mexico. He is also a talented artist: 'Bird Impressions' is his acclaimed collection of bird paintings; he worked for 'Birds of the Western Palearctic' and he writes for 'Birds Illustrated'. With nearly 20 years' experience leading wildlife watching groups in the Highlands, Duncan is spending more and more time taking our guests further afield to the Pyrenees, Yellowstone, Bulgaria and Extremadura. He has a background in environmental education and conservation, which gives him great guiding skills, as well as knowledge of a wide range of birds, mammals, butterflies and bugs!. A native Yorkshireman, Julian now lives in Spain after several years in Scotland, so is the perfect guide to take you on our Andujar, Extremadura and Pyrenees holidays. Not that this stops him from leading tours to British Columbia, India, Estonia and Uganda. He has a lifelong interest in wildlife and his friendly outgoing nature makes him a very popular guide and ideal member of the team. Sally has been a birdwatcher for as long as she can remember,Â photographed with binoculars round her neck age three! She has travelled extensively and has been based in Speyside for the last 25 years, so has an excellent knowledge of Highland wildlife. She is particularly interested in preserving and restoring habitats - her love for Scotland and its landscape are obvious when you spend any time with her. She now leads trips across Scotland and her native Yorkshire as well as working as a Day Guide in the Speyside area. Since moving to the Cairngorms in 2010 Jack has lived and worked across the Scottish Highlands. Work has taken him throughout the Hebrides, the far North West Highlands back to the Cairngorms and further afield to places such as Andalusia and Costa Rica. He has a love of all things wild, with expertise in all UK deer species and birds, and loves to explore the relationships between wildlife and their environment. His enthusiasm for wildlife is rivalled only by his desire to share his wildlife experiences with others. With 30 years' experience behind him, Tim is a passionate ornithologist and a keen all round naturalist who was born with 'binoculars around his neck'. He enjoys nothing more than exploring places in search for birds, butterflies and all other beasties and sharing his knowledge with others. He has a soft spot for the Scottish Highlands and Islands but has also travelled widely throughout Europe and Asia armed with his faithful binoculars and camera at the ready. His passion for nature started at the age of three, growing up in the Cotswolds, after he memorised all of the birds on a poster in his room! James creates the films you can see on our website and also co-leads some of our Scottish holidays. Before coming to Speyside, Peter previousley lived on Skye and lead trips to watch White-tailed Eagles. He has a bit of a thing for dragonflies... working for Speyside Wildlife he gets to share his passion for wildlife with visitors from all over the world - so what's not to love?! Kate grew up in the North East of Scotland and has had a passion for wildlife from a young age. Her first job involved combining childcare and forest school learning, before spending last summer volunteering with the the ranger service on the Isle of Mull and then becoming a guide with Speyside Wildlife earlier this year. Kate mainly runs our Evening Mammal Hide in the Cairngorms, but also can be found Day Guiding and co-leading some of our Scottish Holidays. One of our talented chefs; Sharon's food has won her great plaudits. She has produced many of the wonderfully irresistible culinary creations that have expanded waistlines over the years and also manages many of the day-to-day workings of the Steading for our Speyside holidays. Alan can usually be found around the Steading looking after the vehicles that keep us all in comfort on the road. Alan helps out with such a multitude of things at Speyside Wildlife that the call most frequently heard is "Has anyone seen Alan?". Sally owns Speyside Wildlife and is still very much hands on in the organisation. Responsible for the smooth running and complex logistics of the business, she spends more time nowadays sharing best practice experiences with businesses from other parts of Europe, who come to Scotland to learn about wildlife tourism. Lisa has been with us for thirteen years now and is responsible for all the accounting and systems management. Along with the daily accounting processes, company pensions, wages, budgets, contribution schedules and VAT, she organises the hide and vehicle logistics, all of which help to keep her busier than ever! Susanne has been with us for nearly twelve years. 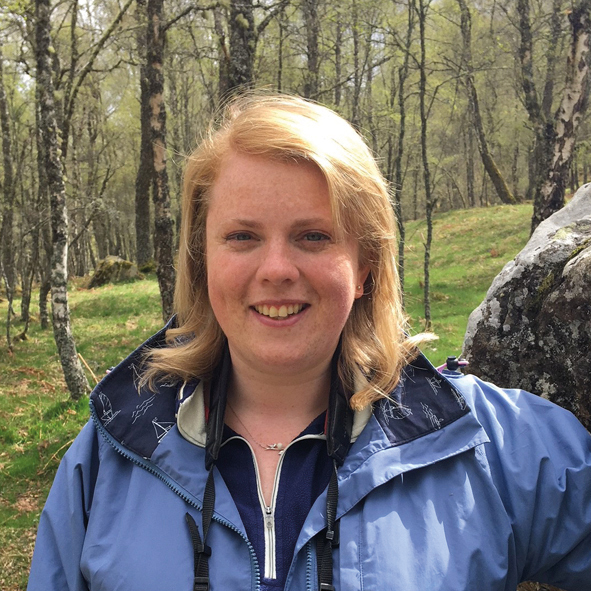 Born and bred in Speyside, she deals with all aspects of our Scottish holidays such as Shetland, Orkney, the Outer Hebrides and Mull, as well as organising the day guiding in the Cairngorms and further afield. Tania is one of the voices you'll hear when you call our office. She assists with the administration to ensure you have all the information you need for your holiday. She is responsible for organising all our overseas holidays, dealing specifically with the complex logistics of the long-haul trips. Cath leads on our marketing and deals with our design work, website and organises our guides to deliver presentations to bird clubs, various exhibitions at birding fairs, plus our own events up and down the country. Her background in hospitality and marketing, means she is best placed to ensure we get to see as many of you as possible around the UK. Rebecca administers all of your holiday bookings and ensures you receive all of the right inforamtion, she also organises our Steading-based holidays.